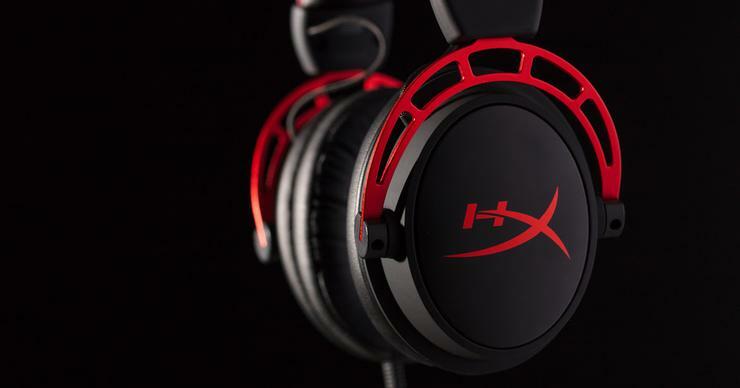 HyperX, the gaming division of Kingston Technology has announced the pre-order of its next generation gaming headset – HyperX Cloud Alpha. As the first gaming headset to feature revolutionary dual chamber technology, Cloud Alpha delivers incredible audio quality designed to enhance the PC, console and mobile gaming experience. Cloud Alpha maintains the DNA of previous award winning HyperX headsets, delivering unmatched fit and comfort for extended gaming sessions, as well as rich, textured sound for extraordinary spatial awareness. Cloud Alpha features HyperX dual chamber technology to deliver an accurate game sound with incredible range and tone. The dual chambers allow the headset to separate the bass for the mids and highs, creating a dynamic sound that makes gaming, music and movies more immersive. Designed to deliver the ultimate comfort for hours of extended gameplay, Cloud Alpha keeps the premium HyperX signature memory foam, an expanded headband featuring softer, more pliable leatherette, and a durable, lightweight aluminium frame design. The headset features a detachable cable with in-line audio control, allowing console gamers to adjust volume and mute the microphone right on the cable. It also includes multi-platform compatibility with PC, PS4™, PS4™ Pro, Xbox One™, Xbox One S™, Mac®, Mobile, Nintendo Switch™, and other virtual reality systems with 3.5mm ports. This offers players clearer voice quality, and excellent sound for enhanced team communication, the Cloud Alpha is TeamSpeakTM and Discord Certified. HyperX Cloud Alpha is available for pre-order from the 12th of September for AUD$169, exclusively from JB Hi Fi until September 25. Customers who pre-order will also receive a headset case to help protect their new purchase, while stocks last. The Cloud Alpha will be officially in-store on October 2. The Legend of Zelda: Symphony of the Goddesses 2017 is Coming to Sydney Opera House on the 29th October.